Reagan Elementary School students stepped outside the classroom Wednesday for a special assembly involving a dairy cow. In a presentation led by Mishael McDougal of the Dairy Council of California, students from four different grade levels learned about the the role of agriculture in the food supply, the journey of milk and dairy foods from farm to table, and the importance of a balanced diet. 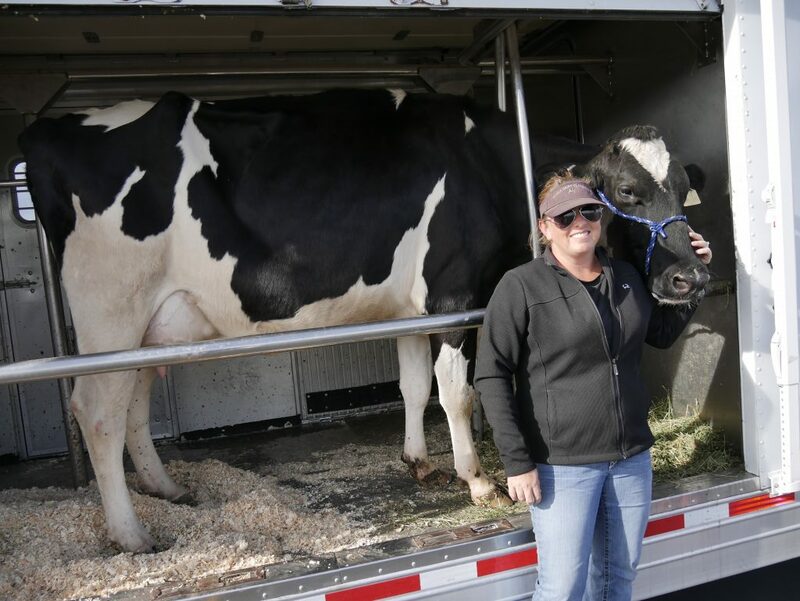 Lucy, a 1,300-pound Holstein cow from Sweeney Dairy in Visalia, was the star of the presentation. From inside her trailer, she served as a visual representation to engage students during the lesson. For many of the kids, it was their first time interacting with a farm animal. In addition, McDougal touched on topics like the anatomy of a dairy cow, the milking process and agriculture technology before wrapping things up with a quiz and Q&A session. For nearly a century, the Dairy Council of California has promoted lifelong healthy eating habits through science-based nutrition education resources, Mobile Dairy Classroom assemblies, training programs and online tools. Today, the free Mobile Dairy Classroom program reaches more than 453,000 students, with six instructors who travel to schools, agriculture days and fairs throughout the state.